Many experts agree that one of the best ways to maintain the health of the brain is to keep it active, just as you would with your muscles to keep them strong. There are also a number of nutrients that are very important to maintaining a healthy brain and preventing its decline. Reviewy is a website that contains information on a number of different supplements that can be used to boost brain power and protect it from degradation. Check out the site for more information on nutrients that help to safeguard the brain. The brain is made up of a very large number of individual cells called neurons. These neurons work in a highly integrated manner to translate the stimuli that you receive in the form of light or touch or sound, into signals that cause a particular response. As mentioned, these can be very complex responses. In fact there is still so much that scientists and doctors do not understand about the brain and they believe the current model is quite oversimplified. But this model is still very well supported by research. Research shows that cognitive function, which includes decision making, is controlled by the connection between neurons. There are several subtypes of neurons in the brain which are clustered together and have been linked with one or more particular functions. Different areas of the brain show different levels of activity depending on the kind of task that is being undertaken. Cognitive function comes mainly from an area of the brain called the prefrontal cortex. This is one of the most important parts of the brain to keep healthy. Reading is a favorite pastime for many people. This activity has many implications for brain health according to recent and past research. Researchers have found that reading a book, especially a non-fiction novel stimulates an area of the brain called the left temporal cortex which deals with language. The activity in this part of the brain then increases the activity of other parts of the brain which are responsible for visualizations. 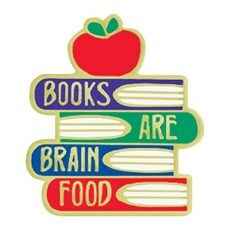 Basically, reading causes a chain reaction of increased activity in various parts of the brain. This helps to increase the connections between the neurons to improve decision-making and memory. This could have implications in making sure that the brain is protected from degradation because, the more connections that the brain cells have, the more likely they are to withstand the breaking of a few connections with age and time. The increased number of connections is also good for retaining memory. Not to mention that reading can also improve your vocabulary and understanding of language which itself could have many benefits in terms of academic and job performance. And possibly one of the best benefits is that it is a relaxing activity which is very beneficial for mental health. How Much Needs To Be Read In Order To Reap The Benefits? Some research has found that people who read for only 30 minutes per day outlived those who did not read as much by 2 years. Some other research has conceded that this would need to be for several years to receive any benefit. Another study conducted on students showed that reading for 3 hours a week, which is less than half an hour a day, improved students’ vocabulary and perceptions. So the number is pretty consistent. About half an hour a day is enough to receive a few benefits but the effort needs to be consistent. The general consensus is also that it's never too late to begin receiving the benefits of reading every day. There is even some research which suggests that reading can reduce the risk of brain degenerative diseases like Alzheimer's and mental conditions like depression. So jump into those books and boost your brain health while relaxing and enjoying yourself with a good book. I agree wholeheartedly as I have been reading since I was very young and now my grandchildren read. Important, vital and meaningful. Brilliant post, which I shall be sharing with all my non-reading friends (if I can force them to read for a few minutes!). I'd love to see some research about what writing can do for human health as well, and whether the type of writing always matters. I write books about how to be wiser, and I've already found research that shows the positive impact of journalling on happiness and intelligence levels. It would be interesting to know if penning other things, such as poetry, different genres of fiction and non-fiction could have different impacts on writers.